"A cool, creamy drink with all of your favorite pumpkin pie flavors that is good for you!" 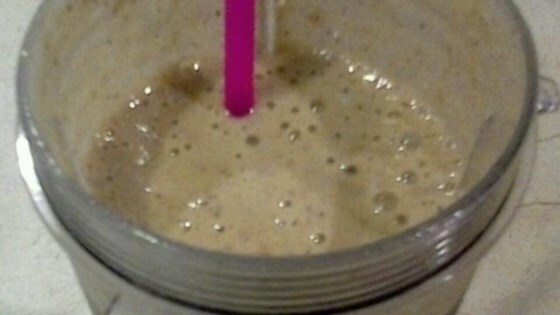 Blend banana, yogurt, almond milk, ice, pumpkin puree, and pumpkin pie spice together in a blender until smooth. It was very good.I do recommend adding less greek yogurt. In love! I made it as written, but added 2tbsp of grounded flax seeds. My new go to. I love the thickness too! Love it! Added some Pyure Organic Stevia for a little sweetness.